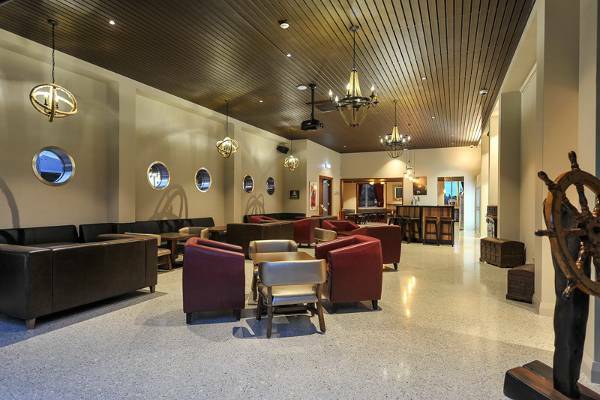 Looking for a venue for your next function? With over 40 types of craft beers and fabulous food, live music and superior service Pirate Bar is the perfect venue. Our stylish bars with their unique theme makes for an ideal, customizable space for any occasion. Pirate Bar can be booked as an entire venue** or as 4 unique areas to cater for groups of all sizes. Whether you are looking to prepare a niche gathering of 20 or an event for up to 100, our team will personally tailor an event to suit you. With 3 different sound zones, Pirate Bar is well equipped to suit all your entertainment needs. Feel free to drop by to see the space or take a virtual tour from the comfort of your home. Located at the front of the venue, this area has the capacity of 30 to 40 guests. 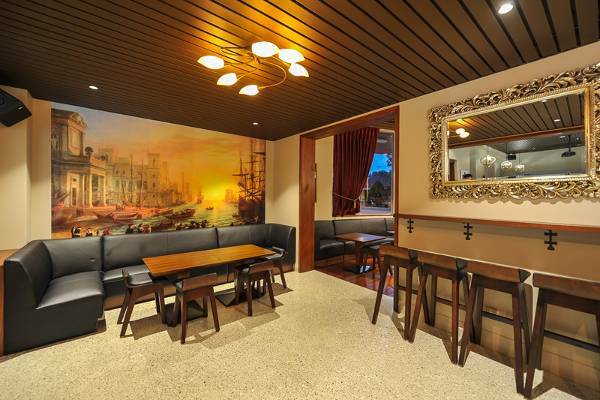 Featuring Jarrah floor boards, leather booth seating, a custom sailing ship chandelier, private bar, and its own sound system. It is the perfect location for any intimate function. A semi-private room, with leather booth seating holding up to 20 guests. Has the option of a private bar and can be sectioned off from the main arena. Great for small fun groups of friends who like a VIP style event. For the true adventurer the main arena can hold up to 70 guests, with couches leather bays and a large space that is ideal for dancing. It offers exclusive use of the projector for movies and photos, and has the capabilities to host live music or DJs. Access to the main bar rounds this area into an epic space that can’t be matched. 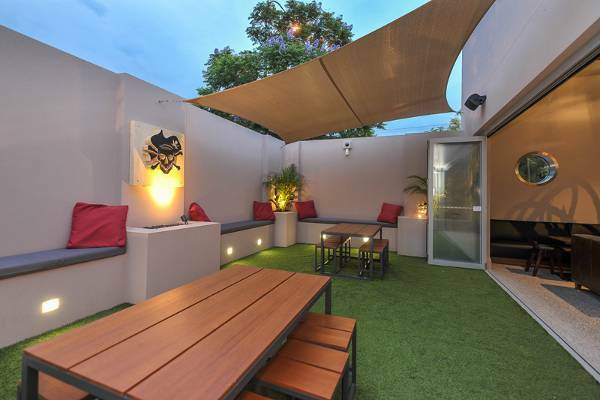 A beautiful outdoor area, boasts cushion bench seats and three large tables, it is a fantastic area for up to 30 guests, ideal for balmy summer nights. The simplest and most economical option where quests simply purchase any item they like. Your guests have the option to pay via cash or to set up a private tab via a credit card. A bar tab can be arranged to a dollar value of your choosing. You can then choose which items are to be included in the tab e.g. Draft Beers and Wines by the glass only. Any drink not selected on the tab can still be purchased via cash. A staff member will inform you when you are approaching your limit and you then have the option to extend or conclude the tab. pre-purchase tokens can be supplied from the venue, each token has the value of $10 and can be used on any item on the menu up to the $10 value. Aditional tokens can be bought on the evening and throughout the course of the function. Drinks over the price of $10 can still be purchased via cash. Pizza comes out in a slab with 30 palm size pieces. A booking is only confirmed upon receipt of Room Hire Fee. Room hire fee is refundable * to you on the night of your function. Your fee will be credited to your food bill on the night of your function. 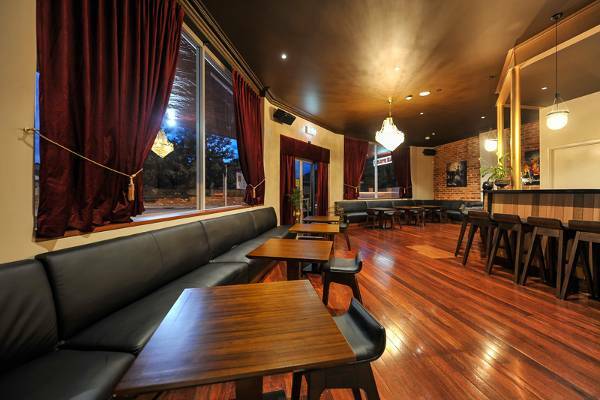 21st Birthdays and functions over 80 people will incur a room hire fee. Confirmation of final numbers, food and beverage requirements is required 10 days prior to the dated function in writing via email, or in a meeting with our management team. All food and beverage requirements will be charged on the basis of this order.